Anyang, the northernmost city in Henan Province, had once served as capital of the Shang Dynasty (c. 1600 - c. 1100 BC). It is the earliest capital of China in written record. 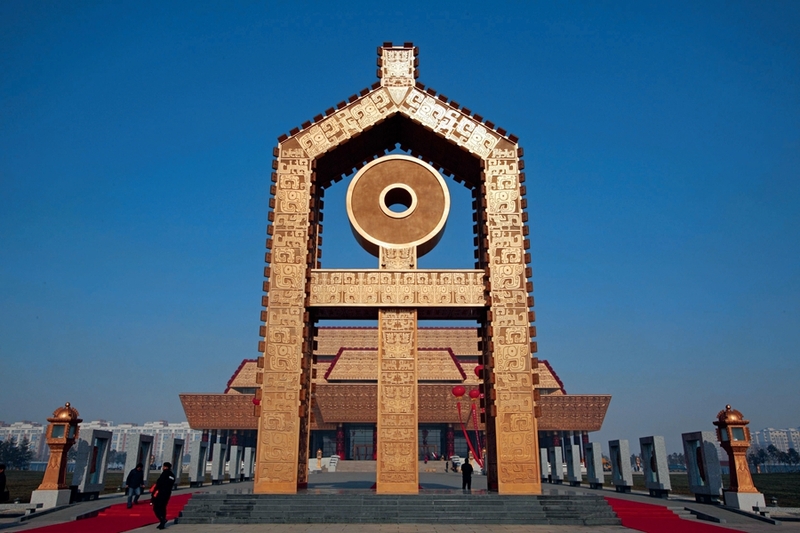 With a history of over 3,300 years, Anyang is one of the cradles of Chinese civilization. In the early 20th century, the Shang Dynasty ruins were unearthed in Xiaotun Village, Yindu District of the city. Archaeologists discovered bones and tortoise shells inscribed with the earliest form of Chinese script and the Houmuwu Ding (formerly called Simuwu Ding) – a rectangular bronze vessel and at the time, the biggest bronze ware ever found. The discovery also reflected China's ancient bronze ware culture in its heyday. The National Museum of Chinese Writing in Anyang, where the bones and tortoise shells inscribed with the earliest form of Chinese script were unearthed. In the third century, a large number of literati and poets created many masterpieces here, forming the Jian'an Style of literature, which has exerted a far-reaching influence on Chinese culture in the following centuries. In the 1960s, under very harsh conditions, people in the Linxian County of Anyang (today's Linzhou City) built the Red Flag Canal (Hongqi Qu) to divert water from the Zhuozhang River to drought-ridden Linzhou. Because the canal twists around the side of a cliff, it has been nicknamed a "man-made heavenly river." Today, the Red Flag Canal area has become a national scenic spot, and the grand project has inspired generations of Chinese with a pioneering and hard-working spirit. The Xia Dynasty (c. 2100 - c. 1600 BC) was the first dynasty in China, since then the hereditary system has been adopted. Around 1600 BC, Tang (c. 1670 - 1587 BC) overthrew the last ruler of the Xia and established the Shang Dynasty, the second dynasty in Chinese history. However, no written document of the Xia Dynasty has been found yet to directly prove its existence; what people have known about it all come from records of later generations. Around the beginning of the last century, the site of the ancient capital of the Shang Dynasty was discovered in Anyang, with over 150,000 pieces of oracle bones and tortoise shells with inscriptions, as well as a large number of bronze wares, rendering Shang as the first recorded dynasty in Chinese history. 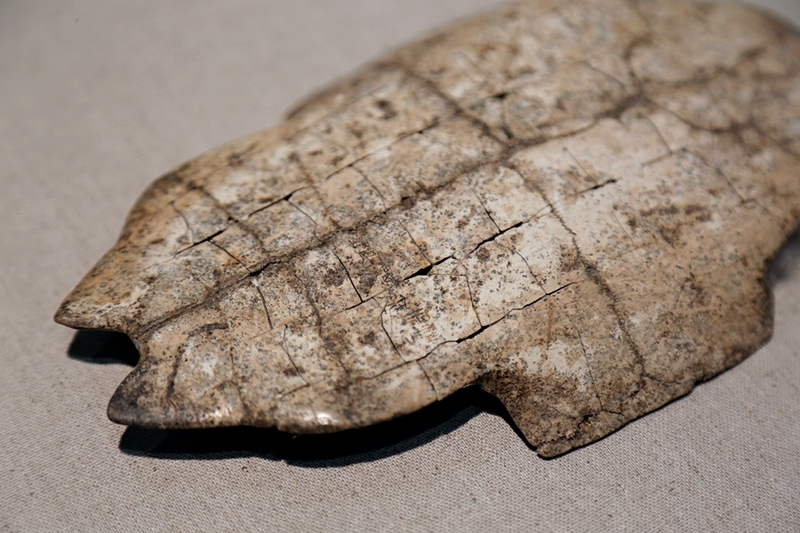 A piece of oracle bone exhibited in the National Museum of Chinese Writing. Throughout its 500-odd years of history, the Shang moved its capital seven times, finally settling in Yin (today's Anyang City). Since then, the Shang entered a period of prosperity and its people enjoyed peaceful lives. Therefore, we often refer to Shang as Yin or Yinshang and the Shang Dynasty ruins as the Yin ruins. Archaeologists in modern times found that the Yin ruins feature a structured layout. Over 50 palaces, 150,000 pieces of oracle bones, more than 10,000 bronze wares, clan tomb groups, venues for sacrificial ceremonies, and workshops have been unearthed there. These findings systematically show the culture of Chinese bronze wares and prove the existence of the Shang Dynasty. In 1046 BC, King Zhou (c. 1105 -1046 BC), the last king of the Shang Dynasty, set fire to his palace and committed suicide after being defeated by King Wu of Zhou (died in 1043 BC), the first king of the Zhou Dynasty (c. 1100 - 221 BC), which followed the Shang Dynasty. This period of history was composed into a novel titled The Investiture of the Gods. The masterpiece combines elements of history, folklore, mythology, legends, and fantasy, fully reflecting the rich imagination of ancient Chinese people. It has been considered as one of the most popular novels on the subject of gods and evils in Chinese history.